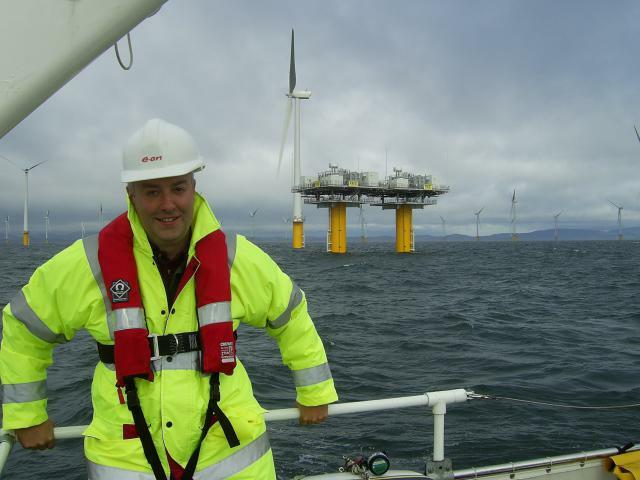 GFT staff undertake a lot of electrofishing every summer for a range of purposes. In 2018 over 200 sites were surveyed across Galloway which included monitoring; the potential impacts from construction works, health of wild salmon stocks, survival rates of stocked salmon, return of salmon following removal of a barrier and to input to the National Electrofishing Programme for Scotland. One of the electrofishing techniques GFT utilise is timed fry surveys. On the Urr we have a network of 12 sites spread across the length of the river that we try and survey annually. This provides important information for the GFT and the Urr District Salmon Fishery Board to consider when managing the salmon stocks in the river. 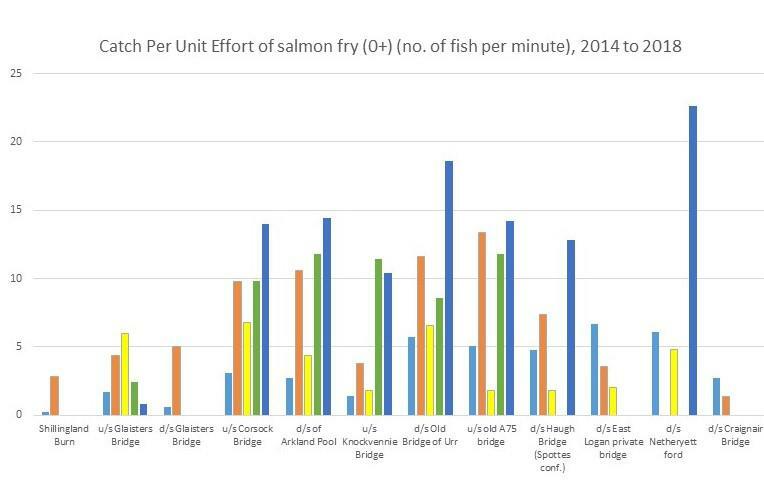 The timed surveys on the Urr (which provides data on number of fry caught per minute) have been completed over the last 5 years which help to show the distribution and abundance of salmon spawning and how it varies annually. This electrofishing technique works well for gathering this information as fry do not move far from where they were spawned. Poor and good spawning years are easy to identify. The data shows that in 2018 there were very good numbers of wild salmon fry in the mid and lower Urr catchment sites compared to the previous four years. The spawning from Corsock Bridge downstream, which occurred in late 2017, was very successful with a high fry densities present during 2018. Results from 2019 will be interest as the general consensus across Scotland is that the numbers of return adult salmon in 2018 were low. Rod catches have been low in most rivers but a particular concern would be if salmon fry densities are significantly reduced by next summer.